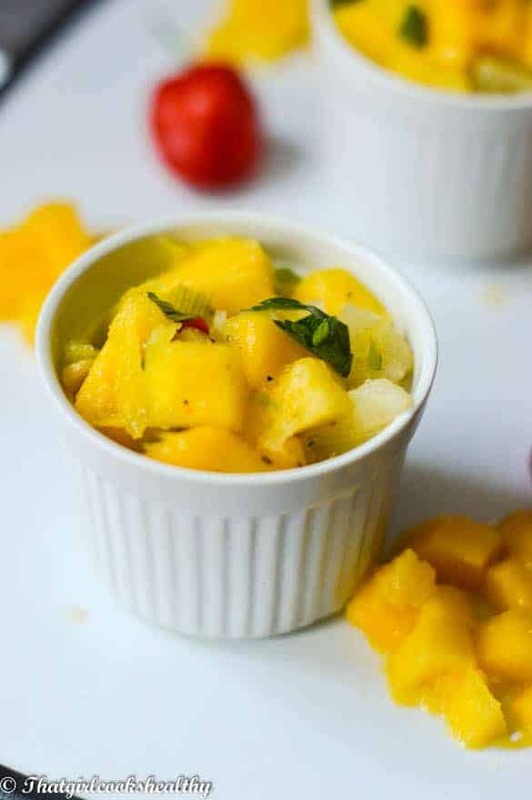 Mango pineapple salsa recipe – A simple fruit duo consisting of chunks pieces of tropical fruit combined lime, scallion, cucumbers and cilantro. 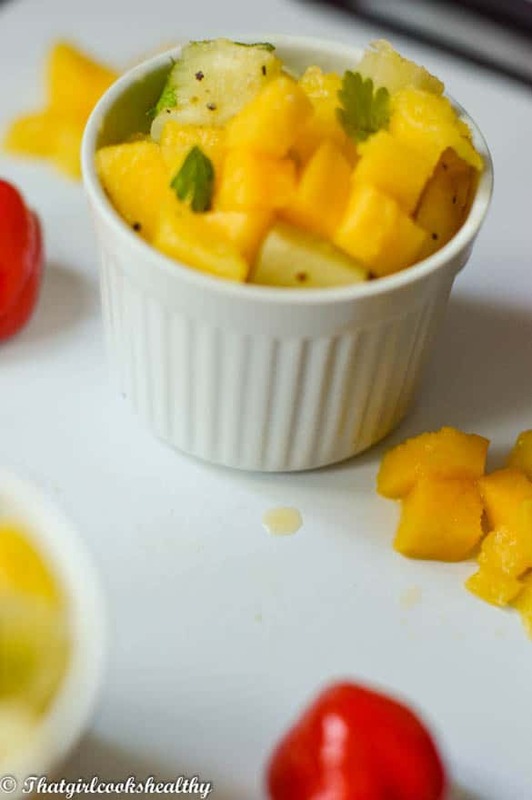 This recipe is the sequel to my baked hake with mango pineapple salsa recipe that I posted. While I was taking lots of pictures of the finished product I failed to take a close up of the salsa served in a small ramekin (see picture). Besides, I truly believe this dish deserves a post of it’s own. 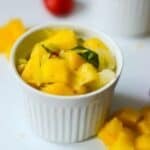 I quite like using pineapple, mangoes and limes in my sauces and if you do too then you will love this recipe. Although the word “salsa” is actually a Spanish word meaning “sauce” there are different variations of salsa, ranging from chucky to liquidised in texture. Caribbean people tend to be more partial to a hot peppery sauce. However, an islander would never say no to a tropical fruit infused salsa. We love our heat and fruit and find so many creative ways to utilise them. You can be as creative or original as you like with salsa. I’ve come across so many versions that I’ve been left overwhelmed. Toss all the ingredients into a large bowl and be sure to coat everything in the lime juice.